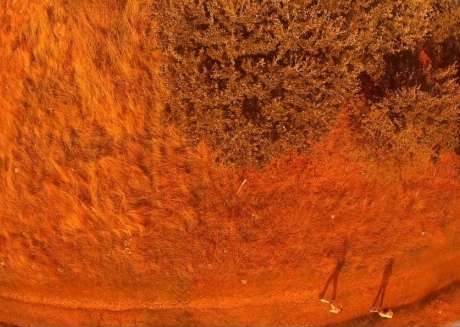 Now, researchers in the Department of Life Sciences and Computing are partnering with agriculture services company Agrii to create cameras mounted on drones. These cameras could automatically detect early disease stages, and tell farmers when to spray, before the disease damages the crop. Spraying early in the right location would help farmers use fungicides effectively and targeting their use to best effect. 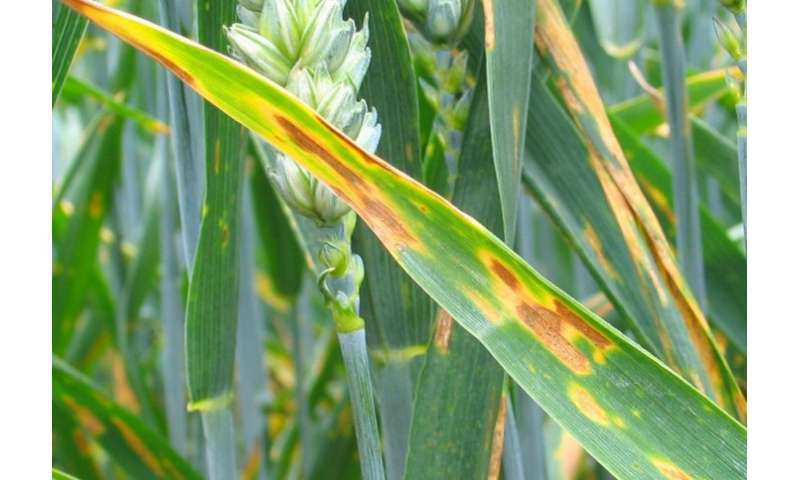 They are currently developing a tool to help forecast Septoria, a key fungus affecting wheat, but believe the concept could later be adapted for other diseases. Chris Adams, who is taking on the project for his PhD, said: "Allowing farmers to identify stress before full infection occurs is particularly important as the climate changes. An unpredictable environment makes it challenging to track and forecast disease. "Diseases reduce yields when we need them to be high, as the global population grows and we need to feed more people than ever. Reducing yield loss to diseases like Septoria will allow us to grow more food, more efficiently and on less land, benefiting the agricultural industry, the public and the environment." The drones will use multispectral cameras, which use special filters to capture reflected light from selected regions of the electromagnetic spectrum. Capturing reflected light using several lenses and different filters simultaneously allows scientists to look at how objects reflect parts of the electromagnetic spectrum differently. Stressed plants typically display a 'spectral signature' that distinguishes them from healthy plants. Adams said: "The innovation of this project involves developing a solution to classify Septoria infection in the context of other field stresses. By understanding how different stresses impact each other and their 'spectral signatures' we will be able to develop solutions to better map and forecast crop diseases." The team at Imperial are building their own drones and their own multispectral sensors, as well as developing tools to train a computer program to analyse the images and classify them based on disease progression. The partnership came about when Adams' supervisor, Dr Oliver Windram from the Department of Life Sciences, contacted Agrii through the Grantham Institute's Science and Solutions for a Changing Planet Doctoral Training Partnership program. Dr Windram was working to identify the early signs of individual plant stress from disease, and decided to ask Agrii's head of Research and Development David Langton if his work could be relevant for industry and how they might collaborate on building up the technology and trialling it. Dr Windram said: "I gave them an outline of what our lab does and asked them what challenges in the crop protection industry we could apply our skillsets to. I wanted to trial this work in field systems, the kind of situation in which Agrii have the skills and expertise, to better understand how complex field environments might affect the outcome. "Working together will accelerate our research but also provide a solution that Agrii could translate for the farming community and deploy rapidly." Assessing disease with drones will also help Dr Windram in his basic research into plant pathogens. With large amounts of data from the field, it could help him better understand how the plant responds at the molecular level, in ways that are relevant to agriculture. 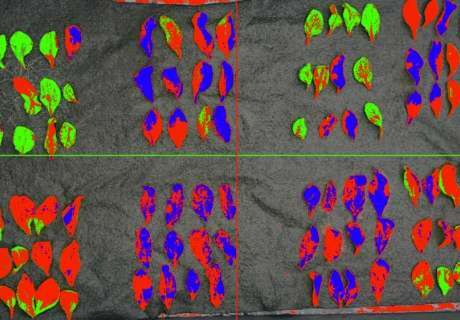 If the underlying mechanisms are known, this could help researchers to breed future crops that have a better tolerance for stress.